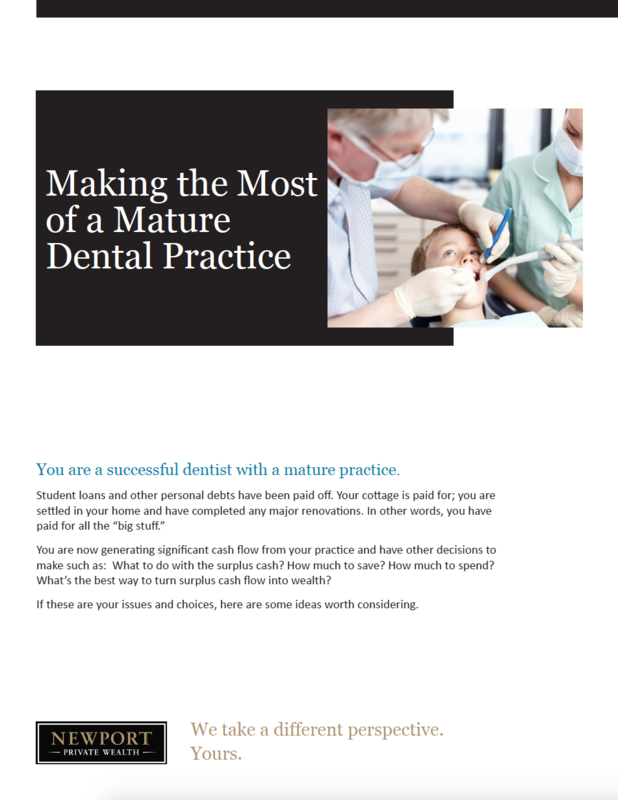 You are a successful dentist with a mature practice. You are now generating significant cash flow from your practice and have other decisions to make such as: What to do with the surplus cash? How much to save? How much to spend? What’s the best way to turn surplus cash flow into wealth? If these are your issues and choices, here are some ideas worth considering.